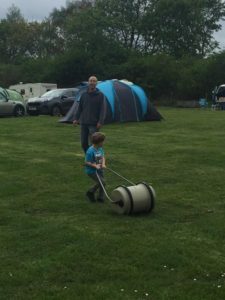 Posted April 18th, 2017 by Matt Colley & filed under Family Income Benefit, Family Protection, House Hunting, Lifestyle, Mortgage, Property Purchase, Uncategorized. There are some moments and milestones in life that give cause for reflection, and recently two of those seem to have converged. It seems like only yesterday that my first son arrived, but in September he’ll be starting school!! I remember starting the business like it was only last week, yet in reality next month we’ll be celebrating 10 years!! When I think back to setting up Moving Experience in 2007, my priorities were very different. I was a single man, determined to make a success of my new venture, with client relationships (and not ‘number crunching’) at the centre of the new business model. I put all the hours and effort in that I could, working away on my kitchen table, and looked forward to weekends filled with watching live Formula 1 coverage on TV (irrespective of the time) and beers with my mates. The concept of a specified work / life balance wasn’t even on my radar. After meeting Rachel in 2010, we decided to buy a house that would be ‘a project’ in 2012. This was before our first child was born and the idea of a second not even considered. We did have the foresight to get a house with 3 bedrooms, and a rear garden big enough for small people to run around. We also have great access to ‘family things’ like a park, but much higher priorities for us at the time were good leisure links, train station access, and the cost of a taxi home at the weekends. A new and strange experience during recent months has been school selection. We attempted to decipher and understand Ofsted reports, then visited several schools with teeny chairs, tiny toilets, and it was a revelation to me that classrooms seem to no longer have chalk boards!! After all, the last time I spent a sustained period of time in a primary school was 30 years ago, and I was a pupil! You often read national news stories of families re-locating to rented flats, to get themselves in to the correct catchment area, or moving in with Grandparents for the same reason. During my years as a Mortgage Advisor I’ve worked with many families whose primary motivator was to move near to a school. I’ve even seen some parents buying smaller houses than the one they have, for more money than the one that they sold, because they changed to an area where schools have a huge influence on property values. I can totally understand why this happens, because like all parents I want to do the best that I can for my kids and to give them a great life. We’re lucky, in that (by chance) we live in an area with a few good schools around. Of course we’ve been keeping our fingers crossed that (when places are announced today) we’ll get our first choice, but if we don’t then hopefully all will be well anyway. The selection of a school is a big deal, but I believe that ultimately the huge responsibility of supporting, educating, and creating positive futures for our children sits in the laps of parents. Finding the time / energy to help with homework after a busy day at the office might well prove to be a struggle, but as the old saying goes ‘where there’s a will, there’s a way’. Much like most other parents, my personal life now is centered around my 2 boys, and to a degree so is my work and certainly my motivation. Long days from Monday to Thursday mean that I can stop at Friday lunchtime to go to swimming lessons, and on the infrequent nights that I do go out with friends, there’s a strong possibility I won’t get anywhere until 9pm because I want to read bedtime stories first. Back in 2007 my sports car was my pride and joy, but that was sold a couple of years ago and this weekend we enjoyed our first trip with our new (to us) caravan. Yesterday evening I finally got to watch the Bahrain GP more than a day after it’d finished, and then (like I do every night) made up 2 bottles of Formula before bedtime .. If I had the opportunity to step back in to 2007 or 2012 life again would I take it? Not a chance!! Whether your child attends the school of first choice or not, I wish both them and you the best of luck in September.